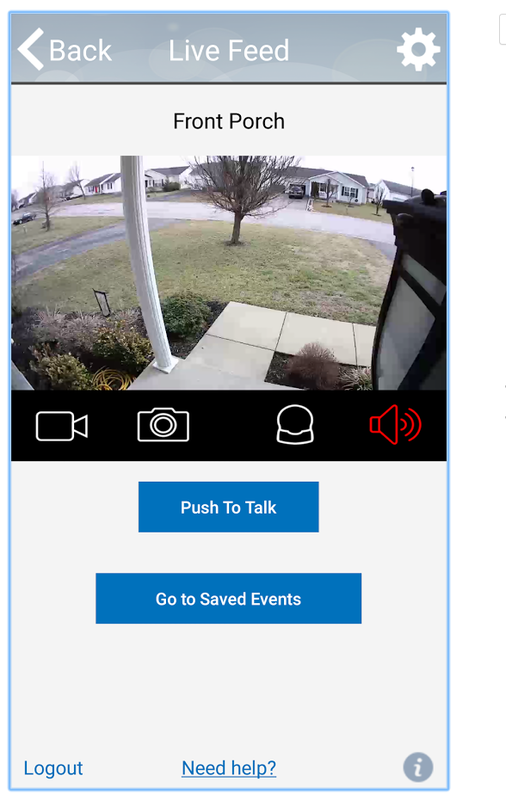 I like the idea behind the video doorbells that will send an alert to your mobile phone when someone arrives at your front door. They also activate a webcam to give you an instant live view of your visitor. But there are two things about the brands I’ve tested that stopped me from making one a permanent addition to my front porch. First, they quickly gobble up batteries if you can’t hardwire them to an electricity source. And second, the camera shows only one view: straight ahead. The Notifi Video Doorbell System from HeathZenith avoids both of those issues. The centerpiece of the system is a a multi-purpose light bulb that screws in the socket of an ordinary porch light. Attached to the bulb is a tiny video camera at the end of a 22-inch cord with a mounting bracket that can aim the lens anywhere you want. Instead of the front door, you might prefer a view of an entry gate or the front yard. The doorbell kit also includes a stick-on push button that only requires one battery and an indoor chime that plugs into any standard AC socket. The bulb contains an LED light, a motion sensor and a built-in speaker so you can talk to your visitors. The camera captures the scene is 720p resolution and stores the video on your mobile device and online for 24 hours. A premium service that costs $5 a month will store all videos events for 30 days. For more details about the Notify system, visit the HeathZenith website and check out the Notifi apps in the iTunes App Store and the Google Play Store.